Having earned a prominent name in the realm of film production, stop motion animations have gained worldwide popularity. However, the use of this animation style is now being used in a more diversified spectrum such as digital marketing and branding. The core idea of stop motion animations was to give animated characters the appeal of photographed frames that give it the aesthetics of a paused-animation. Clay animations are also a part of stop motion animation as this animation type has faced several changes throughout the years. Due to its worldwide popularity, individuals and businesses are also looking for any video animation company that could provide them with stop motion animated content. If you intend to enter the field of animation then here are the tools and applications that let you test out this animation form. qStopMotion, as the name suggests, is a free-to-use application for stop-motion animation creation. With a simplistic user interface, this tools is supported by cross-platform operating systems and possesses the ability to let you create alluring stop motion animated videos and movies with minimum exertion of effort and time. As for its features, you can import images or files from your media library and then animated it further in the software program. 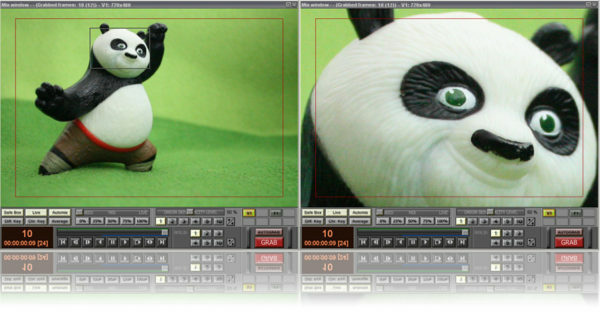 qStopMotion also consists of a native grabber and camera control tools that let you have a better view of what you are animating. Being popular software for stop motion animation, this software is available in different purchasable subscription plans. 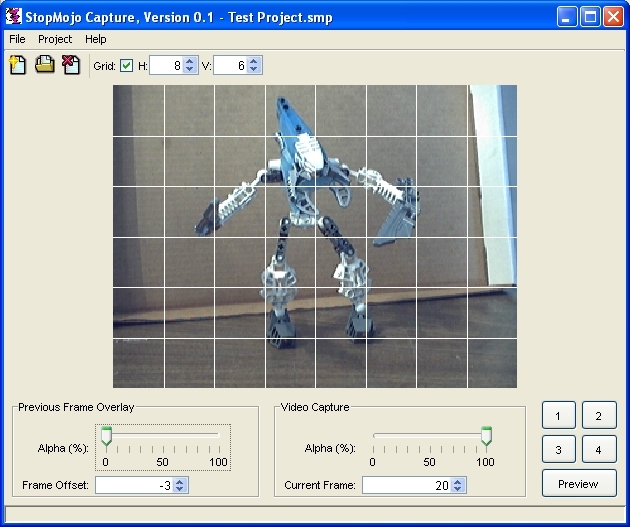 However, this tool is not limited to stop motion animation as it also lets you make cutout or stop motion animations easily. Its core features include tools for tracking movement, playback options, customization functions, and an audio recording option while you create your animation. 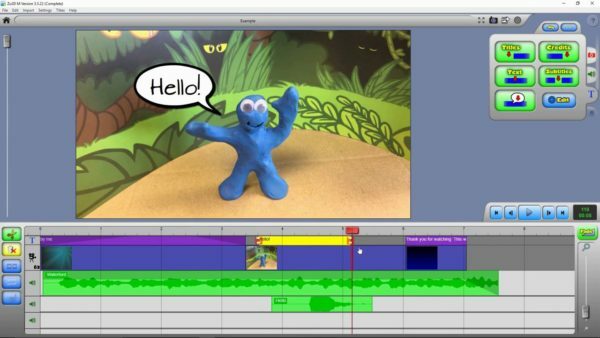 More of its tools include an onion skinning feature for adding movement to animated puppets, lip sync tools for voiceovers as well as the option to import and insert images or videos to your animation. 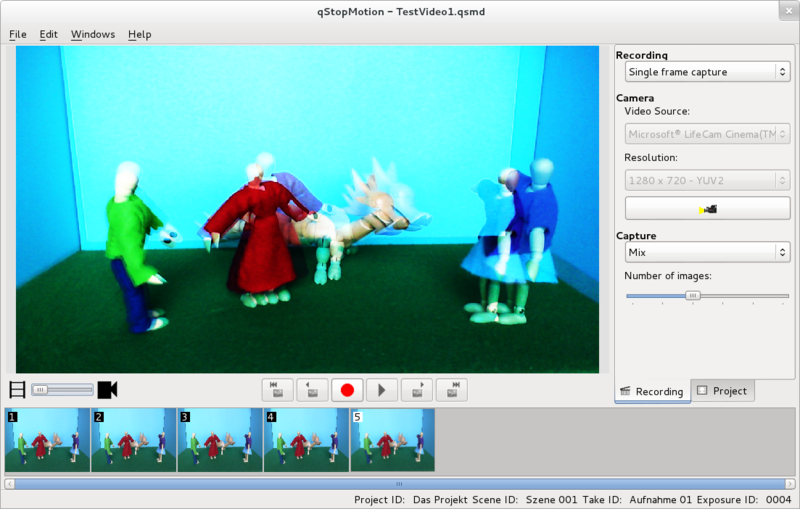 Supported by the Mac OS, iStopMotion comes with an inexpensive price tag of $19.99 and yet it contains a wide range of extensive and unique features. This application is easily accessible and it is not only confined to professional animators. Since it is not so costly, beginner level animators can also use it to make the most out of stop motion animations in smooth user experience and environment. As for its key features, iStopMotion contains tools for onion skinning, playback options for a better view at your animation, speed-up settings, Chroma keying, and support for animated GIF creation. A Windows-based application for 3D stop motion animation creation, Animator HD lets you render high quality and resolution animations smoothly. What makes this software so unique is its feature of 3D live preview and playback as not many 3D stop motion animation software are widely available. If you intend to make a stop motion animated movie then Animator HD can be used as a visualization software for it. 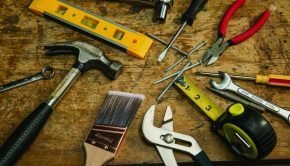 No matter the scope of your project, you can simply rely on this tool for advanced and multi-exposure user experience. Supported by a cross-platform environment, Stop Mojo is solely developed for the creation of stop motion animated content. This tool is equipped with an option to create an overlay of different frames, adding external image or media files and provides support for AVI and Quicktime formats for animated videos. If you are using capturing devices then Stop Mojo also has support for webcams but you would have to check for the system requirements before integration. Another option this tool has is of a grid overlay for animation layers and a quick preview feature for viewing each of the stop motion frames. 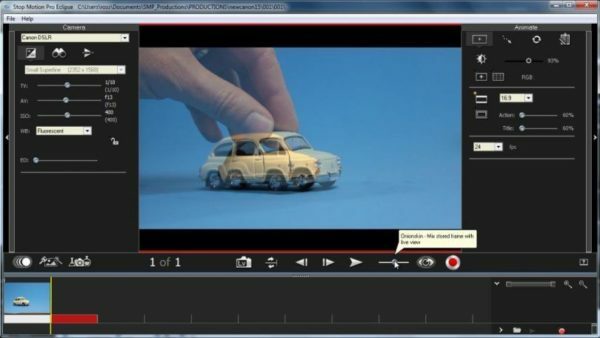 Having support for Windows, Mac, and IOS environments, Zu3D is a purchasable stop motion software that is integrated with webcam or mobile device camera support. The complete kit is priced at £49.96 and consists of a green screen feature, audio track insertion and the option to add unlimited animated video tracks. 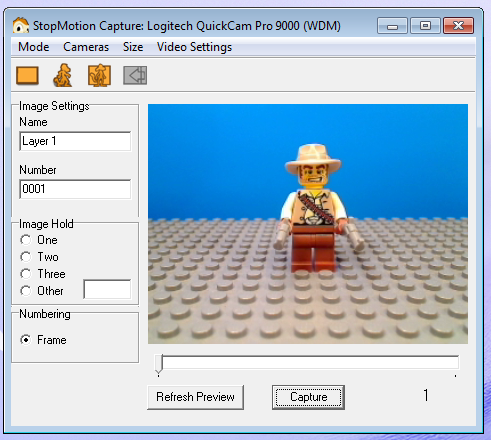 However, this software is essentially developed for creating educational content for children but it can also be used for making various other forms of stop motion animations as well. There are not many software programs that are dedicated to children’s education but Zu3D is and with its user-friendly interface, you can surely animate anything. From creating stop motion animations to clay cartoons, Frames allows you to tell your story in a compelling and engaging manner. It is more than a stop motion animation creator instead; its focus is primarily on storytelling for children and young adults. 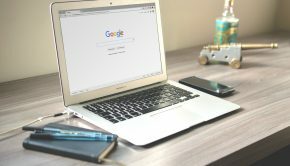 It is a great tool if you intend to create educational content that is interesting and keeps the learner intrigued throughout the end. Since it comes with a simplistic interface and toolset, both professional animators and beginners can use it to capture their ideas into the form of a stop motion animation that sticks out. Guaranteed to be an easy-to-use stop motion animation creator, IKITMovie is currently supported by the Windows platform and works for the creation of both stop motion and clay animations. With its highly simple user interface and set of features, this software is equipped with a high-quality FX sound engine that let you add over 2200 audio files and sound effects. It currently supports an HD resolution of 1080p and you can create your animations in this HD format without any possibilities of lag or compromise on quality. You can even add static images or backgrounds in the green screen feature and then animate it later. 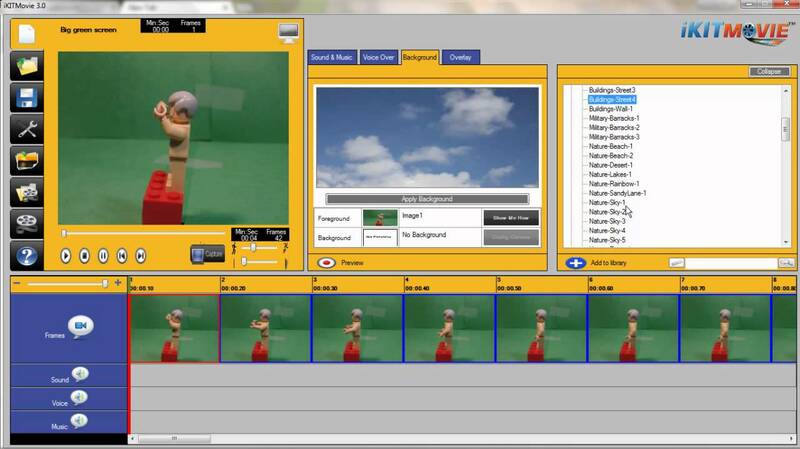 A stop motion application having multiple features and functions, Monkey Jam can be used for more than stop motion animations alone. 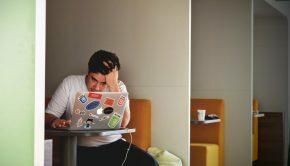 With its image capture option, record, save images from a scanner or webcam and then import them into the software for further editing and customization. Monkey Jam works on adding and manipulating multiple layers at once for the creation of a smooth and refined stop motion animation. You can also export files and video content in AVI video format and re-shoot the frames that you considered discarding.